"Stable lemon market, but too many limes available"
In December, there was an excellent sales of Amalfi lemons. 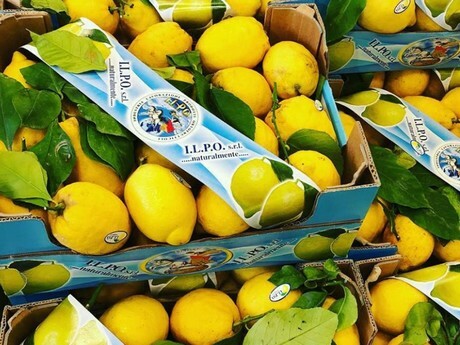 Overall, about 50 percent more lemons were sold than usual, after which the market could stabilize again immediately after the turn of the year to some extent, reported Sedat Bayburt from SE-SA Fruit & Vegetable Wholesale at the Hamburg Wholesale Market. This firm offers Italian Amalfi lemons year-round and expects a second sales peak in midsummer, as the citrus specialties can be used very well in cocktails. Limes from Brazil and Mexico are currently also available in the specialist ranges of Hamburg's major suppliers. "The limes are currently on the market at extremely low prices. At the moment, the market is experiencing significant surpluses, which has led to a corresponding price pressure. However, the demand exists as the goods are continuously moving out. Even organic limes are slowly but surely becoming more popular these days." Compared to the December prices, the rates have dropped a bit. "At that time we were selling at 6-7 euros, now we are at 3-4 euros per Colli. It is difficult to judge which way things will go." Apart from the business with full-season articles, the citrus segment is a seasonal matter. So far, mainly citrus from southern Europe have hit the market, and Egyptian producers are beginning to bring their products to the market, according to Bayburt. "The first Navelina oranges have already been marketed, but from early February it really starts with Valencias, which are qualitatively much better and juicier. Compared with Spanish and South African fruits, these are usually 30-40 percent cheaper, although in my opinion their shelf life and quality is certainly outstanding. We ourselves are gaining more and more customers year by year." Persian lemons: A future winner? Finally, there is an interesting novelty in the citrus assortment of the Hamburg wholesaler. 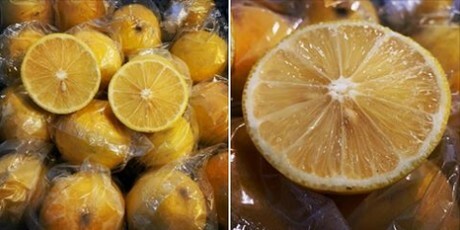 A week ago, the first transports of Persian sweet lemons from Iran arrived. Bayburt: "This variety is popularly called Limun Shirin and has a slightly sweet taste. They are suitable for direct consumption as well as for the juicer. Depending on availability, we will have these fruits for around 1-2 months in our assortment. They cost about half of what Amalfi lemons cost."